School psychology faculty and current students at the NASP Convention in San Antonio. Georgia Southern University school psychology alumni with NASP President Melissa Reeves. Pictured (l-r): Susan Bryant, Melissa Reeves, Christy Hagan, and Brannon Parks. 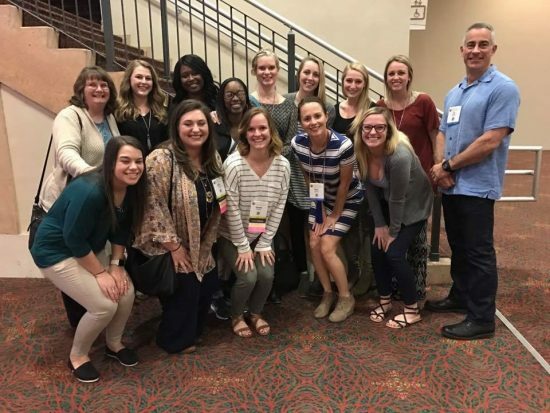 Faculty, students and alumni of the school psychology program at Georgia Southern University’ College of Education were in attendance at the National Association of School Psychologists (NASP) Convention in San Antonio on February 23. 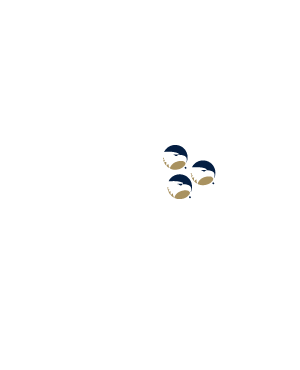 Several current school psychology graduate students and alumni of the school psychology program at Georgia Southern University also attended the convention. COE school psychology alumni representing the Georgia Association of School Psychology (GASP) leadership who attended the leadership workshops during the convention included: Susan Bryant (’95), president; Christy Hagan (’98), past president; Brannon Parks (‘07), president-elect; Courtney Holley (‘11), co-chair of publicity; and Beth Johnston (‘11), co-chair of publications. 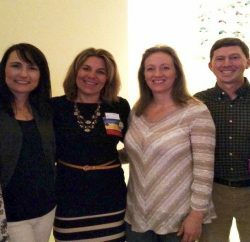 COE school psychology alumni attending NASP (pictured l-r): Brannon Parks, Susan Bryant, Courtney Holley, and Beth Johnston.